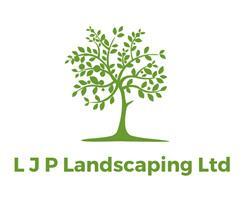 LJP Landscaping Ltd - Driveways/Patios/Paths, Fencing/Gates, Landscaper based in High Wycombe, Buckinghamshire. Hi, I’m Lee and my company is LJP Landscaping Ltd. I have been landscaping for over 15 years and will do all i can to help you with design ideas, ideal fencing solutions and ideas to help with any privacy issues. LJP Landscaping are proud members of the Buckinghamshire Trading Standards scheme and we have a waste licence – so you know your waste will be disposed of correctly and in an environmentally friendly way. We pride ourselves on our high standards for our craftsmanship, customer service and the reliability of the suppliers we use. LJP Landscaping believes you have the right to the garden of your dreams and we aim to make that dream come true. We are happy to pass on our knowledge gained from both domestic and commercial projects to help this happen. LJP Landscaping offer a free, no obligation quote which includes a viewing of your garden, running through all of your ideas so we know what you want to achieve. We like to split our quotes into parts and labour, to show you what you’re spending on parts and our labour. We give you the all in price, no hidden extras. If you’re going to spend your hard earned money, then spend it once and spend it right. Ascot, beaconsfield, Gerrads Cross and all towns within Berkshire and Buckinghamshire, hazlemere, High Wycombe, holmer green, hughenden valley, Maidenhead, Marlow, Slough, Stoke Poges, Windsor.